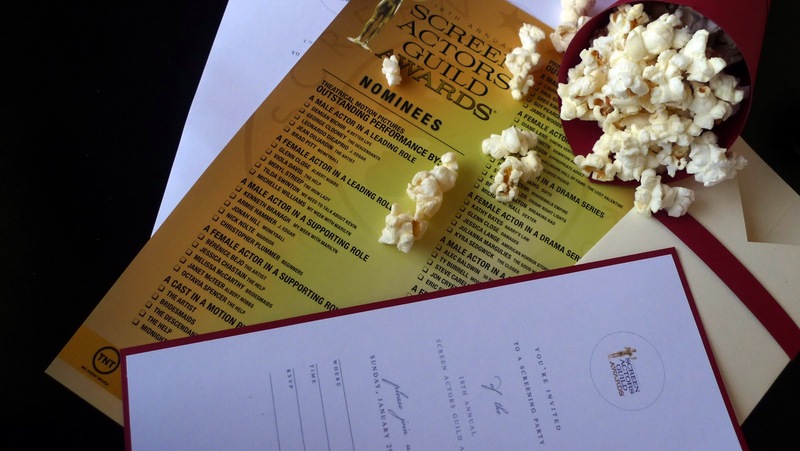 The SAG Awards Blog: Your Very Own SAG Awards Viewing Party! Your Very Own SAG Awards Viewing Party! 2011 saw amazing performances from some of the most talented actors of our time and we're excited to see all the talent come together at the end of the month. As Show Day approaches we ask: What better way is there to enjoy the show than with with friends and loved ones? Here's our suggestion: Host your own SAG Awards Viewing Party! 2. 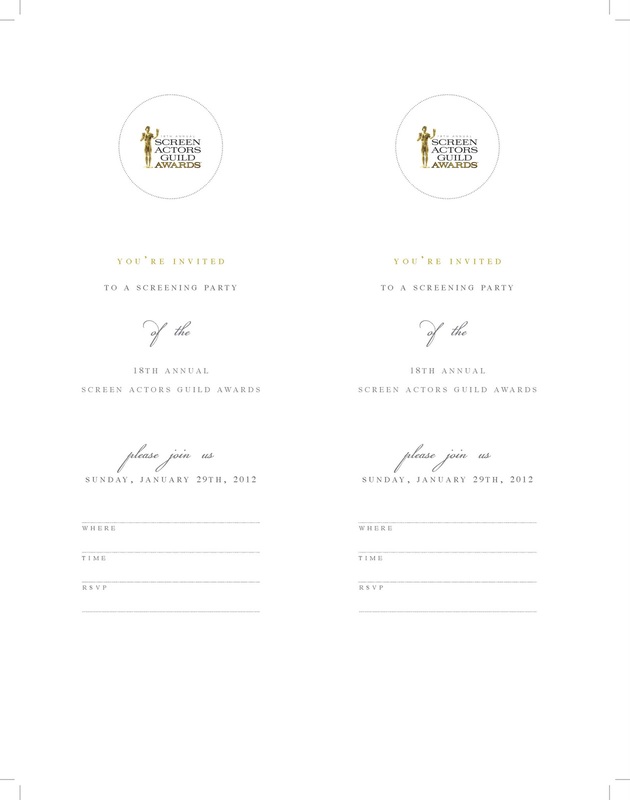 Print out our official nominee scorecards so you and your guests can pick your favorite nominees and see who gets the closest on the show day! 3. Make some fancy hor d'oeuvres or have everyone bring something over potluck-style. 4. Drink like the stars! Grab a bottle of Champagne Taittinger Brut La Française or Dry Creek Vineyard Wine-- which is what the actors will be served on show night. If non-alcoholic beverages are more your style, partake in a lovely bottle of FIJI water-- SAG Awards newest beverage sponsor. FIJI will be served in the showroom and at the post-Awards Gala. 5. Dress to impress and enjoy watching the 18th Annual SAG Awards in style! Make sure you fire up your computer, tablet, or smart phone on Sunday afternoon before the show begins. You don't want to miss the glamorous Red Carpet Pre-show which will be webcast on tnt.tv, tbs.com, and People.com at 6 pm ET / 3 pm PT online! ...and don't forget to follow us on show day for live coverage and fun facts! The 18th Annual SAG Awards will be simulcast live on TNT and TBS at 8 pm ET / 5 pm PT on January 29. Then all you have to do is sit back and watch the magic happen! If you will be viewing the SAG Awards internationally, click here to check our international airings in your area. I loved these party suggestions! I just wish I had seen this sooner and I would have had a party. SAG members need to know the invitation and ballot are available for this event on the web site. Send an email in advance next year letting us know! !